Four days later, and I am back at Robins Farm in Arlington. There is no good cloud cover to catch the sunrise so I zoom in close to the city. 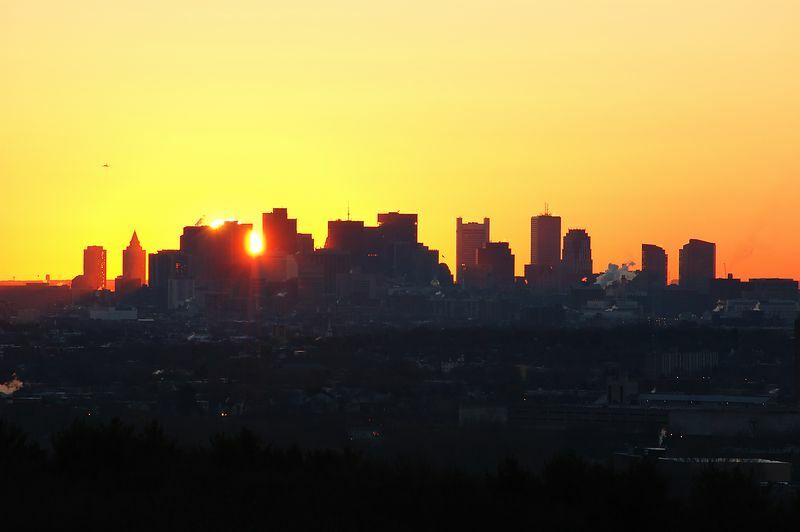 At this time of year, the sun rises behind the downtown section of Boston.